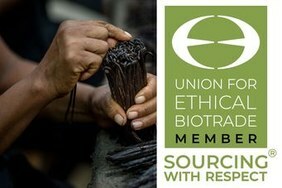 07 Dec 2018 --- This week, Symrise AG strengthened its commitment to biodiversity conservation and ethical sourcing as it passed the Union for Ethical BioTrade (UEBT) membership assessment and the Almond Board of California invested US$6.8 million in independent research projects exploring next-generation farming practices. 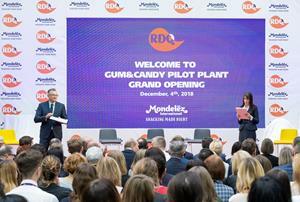 Meanwhile, Mondelēz made a further investment in its Global Technical Center in Wroclaw, Poland, just 1.5 years after the initial US$17 million investment, to expand R&D activities beyond chocolate and bakery innovation. Finally, new research revealed that consumers in the UK will splash out on their groceries this Christmas, spending an average of £166 (US$212) per person during the festive period. Click to EnlargeSymrise AG has successfully passed the UEBT membership assessment and is now expanding its UEBT membership to the entire corporation. For the past couple of years, the company’s Madagascar and Brazil businesses have been members of the UEBT, and during this time, they have successfully implemented a number of comprehensive programs, reports the organization. These programs are designed to promote sustainable cultivation and collection practices for natural raw materials and provide socioeconomic support to local smallholder farmers and collectors. 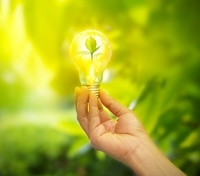 “We congratulate Symrise on its company-wide commitment to sourcing with respect for people and biodiversity. This is a significant milestone as Symrise becomes the first leading fragrance and flavor house to join UEBT as a whole. UEBT membership means that Symrise has become part of a growing movement of companies committed to improving their impact on biodiversity along their supply chains,” says Rik Kutsch Lojenga, ED of UEBT. The Almond Board of California (ABC) has announced a US$6.8 million investment in 75 independent research projects exploring next-generation farming practices. In addition to improving production practices, the research projects will help the California almond community provide a safe, wholesome and sustainable product, optimizing the use of everything almond orchards grow. International Flavors & Fragrances Inc. (IFF) has been named on the Euronext Vigeo World 120 index, an index that recognizes companies for exceptional environmental, social and governance (ESG) performance. After being named to the Euronext Vigeo US 50 index in December 2016, the company is currently the only in its industry featured in the World 120 index. Mondelēz has made a new investment in its Global Technical Center in Wroclaw, Poland. One-and-a-half years after the center opened, the company has invested a further US$5 million to expand the Click to EnlargeMDLZ’s state-of-the-art facility will serve as a research and development hub for its iconic brands. R&D activities beyond chocolate and bakery and serve gum and candy innovation, reports the company. This state-of-the-art facility will now serve as an R&D Hub for a wide range of the company’s iconic global and local brands under one roof, including Oreo, belVita, Milka, Cadbury Dairy Milk, Toblerone, and now also Trident, Hollywood, Stimorol and Dirol. The expansion is part of Mondelēz’s previously announced US$65 million investment in large RDQ hubs, strategically positioned around the globe. These centers enable the company to better recruit, retain and develop talent across a range of disciplines while accelerating the company’s growth and innovation, says Mondelēz. Meanwhile, Comax Flavors has opened of two new facilities in China – an R&D Innovation Center in Shanghai and a flavor manufacturing facility in Huaibei City, Anhui Province. Comax’s Shanghai R&D Innovation Center is a 434 m² facility equipped with state-of-the-art research labs for flavor creation, application and innovation, says the company. This facility opened on November 1, 2018, and houses Comax’s administration, sales and customer service teams. Strategically located in Shanghai, the facility is committed to better serve Comax’s Chinese and Asia Pacific regional customers. Comax’s Huaibei Manufacturing facility opened in July 2018 and has liquid, powder and spray dry flavor manufacturing capabilities, quality control labs and warehouses for both raw materials and finished goods. This facility has been audited and awarded with both ISO 22,000 and BRC Food Safety Certifications as well as Kosher and Halal certifications. On November 1, in the presence of customers, suppliers, partners and officials, the management and the Asia team of fragrance and flavors house Jean Niel inaugurated a new factory whose production is planned to start in January 2019. To support its growth internationally, and particularly in Asia, the French company has invested in the construction of a new factory located in Bangkok, Thailand. With a surface area of 1,500 m², this structure has state-of-the-art production facilities and technical center which will allow for the development and production of high-quality flavors for the local and regional area for food and beverage industries, says the company. Finally, according to new research, Brits will splurge on festive indulgences this year, spending an average of £166 (US$212) per person on their Christmas groceries. The study from shopping and fundraising platform, Give as you Live, has found that the amount is seven times more per person than the average weekly spend on household food and drinks. Across the cities, London and Bristol are the biggest Christmas food spenders with residents forking out £199 (US$254) and £188 (US$240) per person, respectively, while those in Nottingham and Norwich are more modest when it comes to spending on food, with both cities spending an average of £122 (US$156) per person, the lowest spend of the cities surveyed.